This partnership aims to improve the economic and social well being of smallholders and the environmental sustainability of tree crop farms. 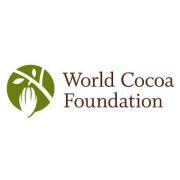 Sustainable Tree Crop Program (STCP) was founded in 2000 by the International Institute of Tropical Agriculture (IITA), the United States Agency for International Development (USAID) and the World Cocoa Foundation (WCF) and its global chocolate industry members. Designed with input from both the international and local private and public sectors, STCP is a unique collaborative effort among a broad range of stakeholders sharing a common vision – improving the economic and social well-being of smallholders and the environmental sustainability of tree crop farms in West and Central Africa. Following the successful completion of the pilot phase, phase II was launched in 2007 and Liberia was brought on board with Guinea falling out. Currently STCP operates in Cameroon, Cote d’Ivoire, Ghana, Nigeria and Liberia. The International Institute of Tropical Agriculture is an award-winning, research-for-development (R4D) organization, providing solutions to hunger, poverty, and the degradation of natural resources in Africa. Since 1967, IITA has worked with international and national partners to improve livelihoods, enhance food and nutrition security, increase employment, and preserve natural resource integrity. IITA's R4D programs are focused on four crucial areas: Biotechnology and Genetic Improvement, Natural Resource Management, Social Science and Agribusiness, Plant Production and Plant Health and Nutrition and Food Technology.